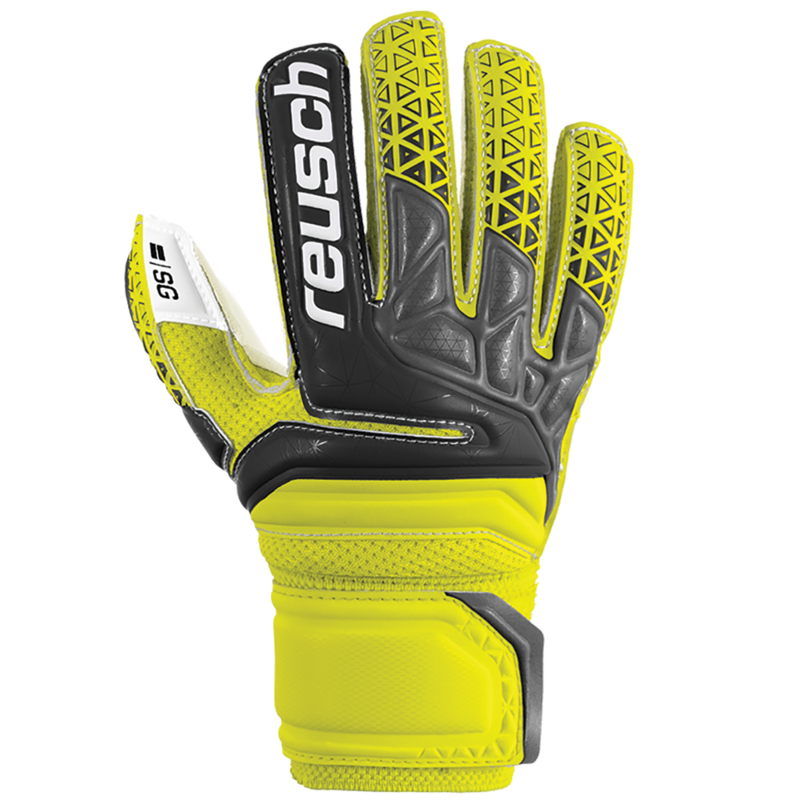 Reusch's German made SG (soft grip) foam is a quality palm made of natural and synthetic latex mixture. Deeper thumb notch on the face fo the glove that includes an elasticized peice below the foam to help eliminate tear out. This is a great latex for youth goalies looking for a balance of grip and durability. 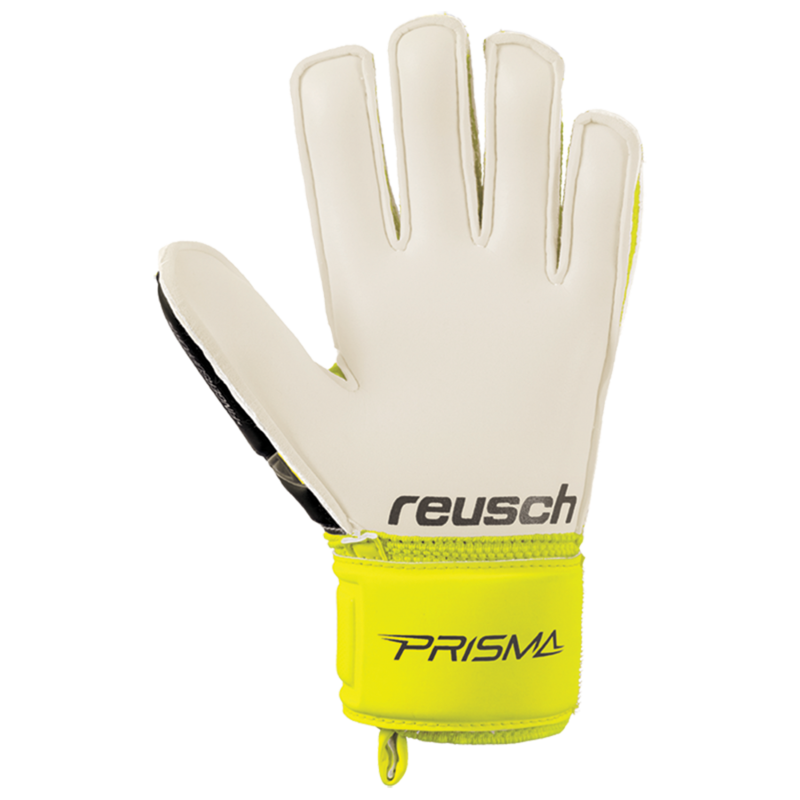 Reusch Finger Support stays offer a balance of protection and flexibility in one package. The flexible plastic spines help to prevent hyperextension and other injuries to the fingers. This particular finger spine system was developed as junior friendly option to the patented Ortho Tec system. 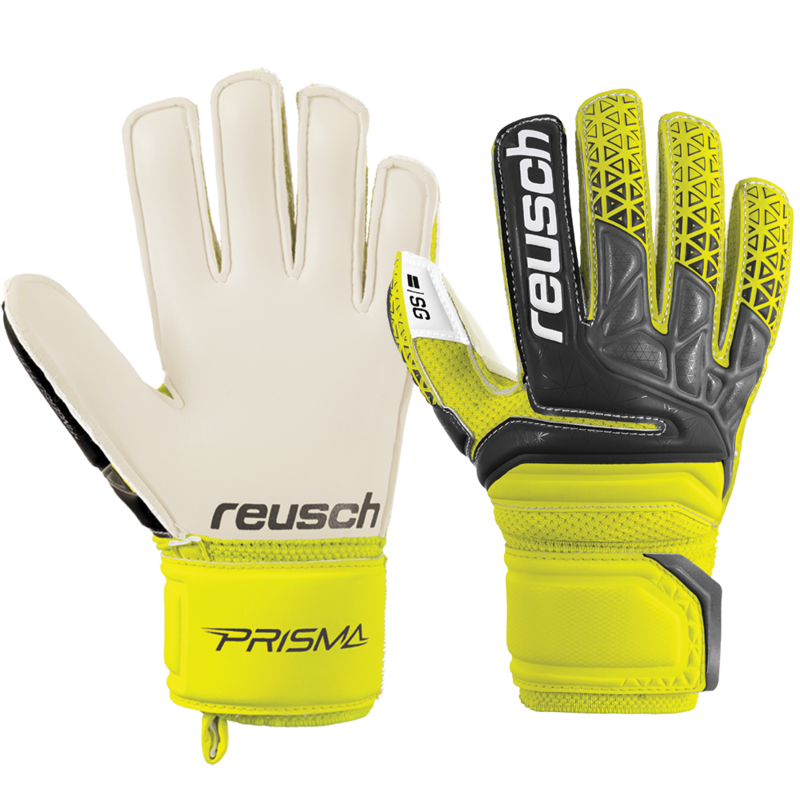 Reusch's Expanse Cut is ergonomic by nature and is characterized by its outer seams which enlarges the inner surface of the glove. The increased latex to ball contact makes catching hard shots much easier for junior goalkeepers. This glove features a more narrow cut, which is ideal for a slender hand. Full wrist strap and wrist bandage with velcro closure. The Prisma backhand is new for the 2018 season. This glove has been released in limited numbers for the 2017 Holiday season and will be back in the Spring of 2018. Grab a pair whilst you can! My son loves theses much better than Adidas. More comfortable and fells like they’re better quality. Great glove for my 12 years old boy who plays at a premier level as a full time goalie. He sees anywhere 50-80 shots per practice twice a week plus games. We have two gloves for him , one for practice and one for games. He goes thru a glove in about 2-3 months so I only wish the palm latex would last longer. He likes these gloves.